Nestled on the beach, this Brighton-le-Sands hotel is within 9 mi (15 km) of Enmore Theatre, Coogee Beach, and Cronulla Beach. Hyde Park and Royal Botanic Gardens are also within 9 mi (15 km). Sydney Rockdale Station is 27 minutes by foot. All 296 rooms provide conveniences like refrigerators and coffee makers, plus balconies and TVs with satellite channels. Guests will also find WiFi, minibars, and room service. 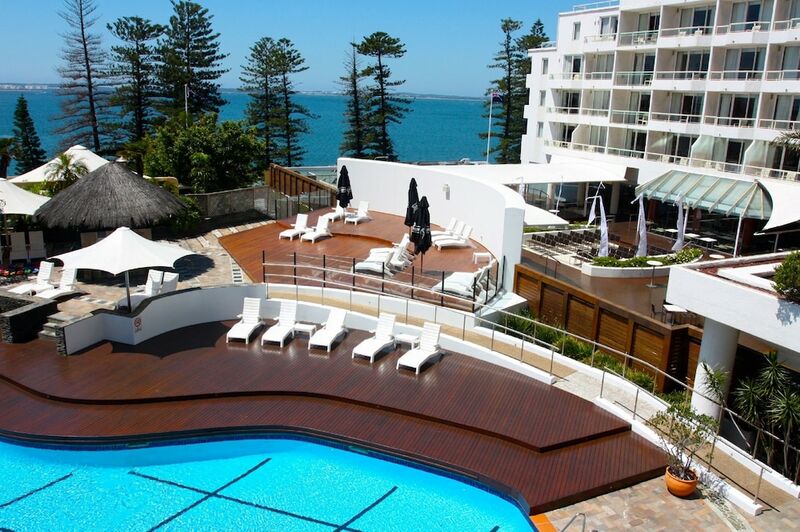 In addition to an indoor pool and an outdoor pool, Novotel Sydney Brighton Beach provides a health club and a sauna. The hotel offers a restaurant. A bar/lounge is on site where guests can unwind with a drink. Public areas are equipped with complimentary wireless Internet access. This 4-star property offers access to a business center and a meeting room. This beach hotel also offers a complimentary children's club, complimentary newspapers in the lobby, and laundry facilities. Parking is available onsite for a surcharge. Novotel Sydney Brighton Beach is a smoke-free property.